We all know that children imitate their parents--for good or ill. 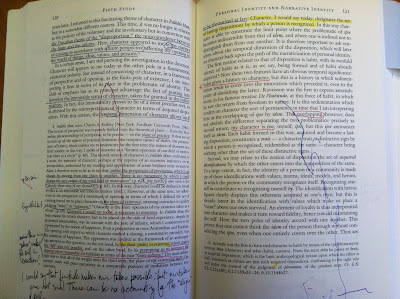 So, given my practice of annotating texts, it shouldn't have surprised me that our then-toddler son Grayson thought an open book (in this case, Paul Ricoeur's Oneself as Another) was an invitation for inscription. 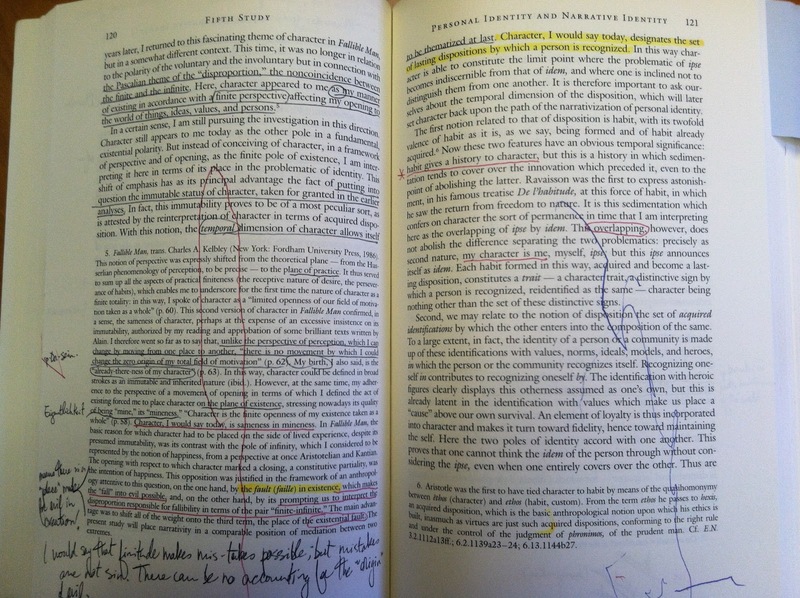 Notice that he has already mastered the "layering" principle, utilizing two different colors for his annotation. I knew exactly where to find this, since in some ways it is one of the most important inscriptions in my library--a tactile reminder of what really matters.